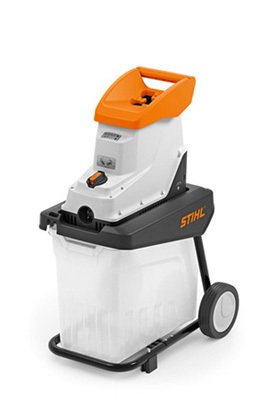 With the powerful output of 2300 watts the GHE 135 L electric shredder can handle branches with a maximum diameter of 35 mm. The shredded branch falls directly into the integral 60 litre shredder box. 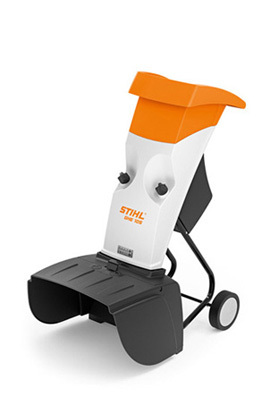 Finely shredder material is created by the GHE 105 electric shredder, which can chip branches and shred out soft material such as leaves or plant trimmings up to approx. 35 mm diameter. 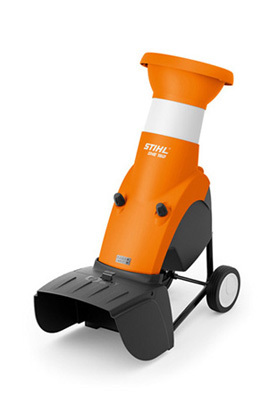 Powerful motor and a multi cut blade system efficiently achieve these tasks. Two feed openings are available for either branches or soft shredding material and blockage free ejection ensures an efficient operation. With a powerful motor and special noise reducing blade system the GHE150 processes thicker branches into chippings that are ideal for composting. A short inclined feed chute and patented clover leaf opening make feeding effortless. 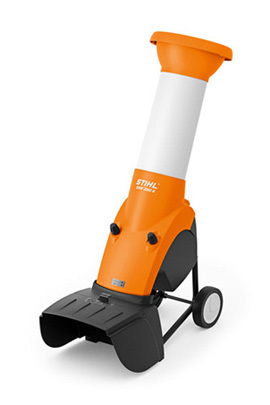 Strong electro-garden shredder for the processing of large quantities of garden refuse and plant remainders but also bushy branches and strong branch material.